With the farm bill set to expire at the end of September, lawmakers are negotiating a new five-year bill. At the center of attention are billions of dollars in subsidies for farmers—or, more accurately, for big agribusinesses. As the top recipient of farm subsidies in the nation, Texas has a huge interest in the outcome. The federal government has long argued that the subsidies provide a safety net for farmers and keep the country from depending on imported food. They’ve also become a source of livelihood in rural areas, and not just for farmers. 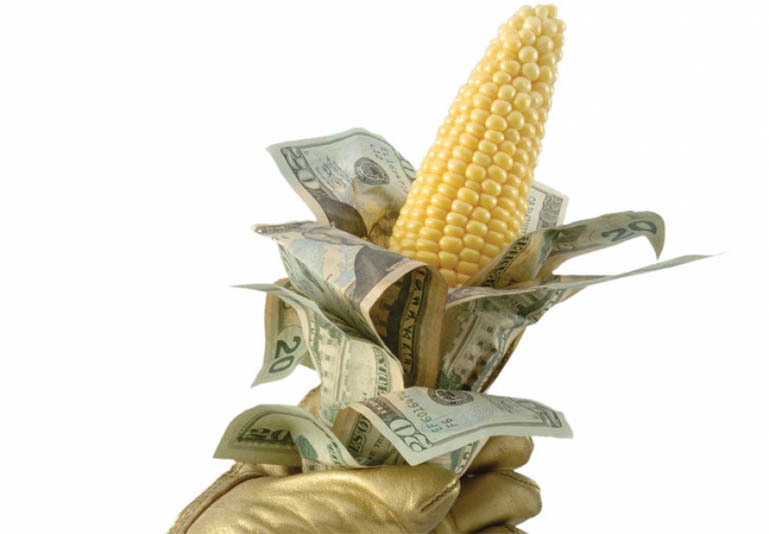 The subsidies indirectly benefit banks and other businesses associated with farming, such as feed stores. But as lawmakers begin to craft new legislation, groups across the political spectrum are challenging the amount of those subsidies—and who benefits from the federal support—with good reason. Of the $222.8 billion in subsidy payments from 1995 to 2010, 74 percent went to only 10 percent of agricultural-industry recipients nationwide, according to the Environmental Working Group (EWG), a nonprofit environmental advocacy organization based in Washington, D.C. The organization, which maintains a farm subsidies database, is calling for more financial support of local farmers and organic agriculture. In Texas, from 1995 to 2010, the top 10 percent of revenue-generating farms received a yearly average of $40,600 each in subsidies, while the bottom 80 percent received $649, EWG found. During that 15-year period, the largest beneficiary in the state was Dublin’s McNutt Bros Dairy, which received $13,591,913 in subsidies, according to EWG. In 2010, Lahey Farms in Brownfield received the biggest subsidy: $528,819. The Big Five are getting a lot more than a safety net; they’re receiving federal tax dollars on an unconditional per-acre basis. As long as the growers keep planting wheat, cotton, corn, soybeans and rice, they get direct subsidies—regardless of crop demand. Thus federal funds have contributed to the production of mountains of corn chips, compared to anthills of fruits and vegetables. Much of the subsidy-produced corn surplus makes its way into inexpensive, high-calorie, processed foods with little to no nutritional value. Such foods contribute significantly to American health problems like Type 2 diabetes and heart disease. These processed foods are more widely available to consumers than unsubsidized, therefore costlier, tomatoes and squash. “The USDA is all about big business,” says Erin Flynn, co-owner of Austin’s Green Gate Farms and a member of the city’s Sustainable Food Policy Board. “We have been feeding hundreds of families for years,” says Flynn, who, as a small-scale organic farmer, doesn’t qualify for federal farm subsidies. Green Gate farms five acres in East Austin and 13 acres in neighboring Bastrop County.